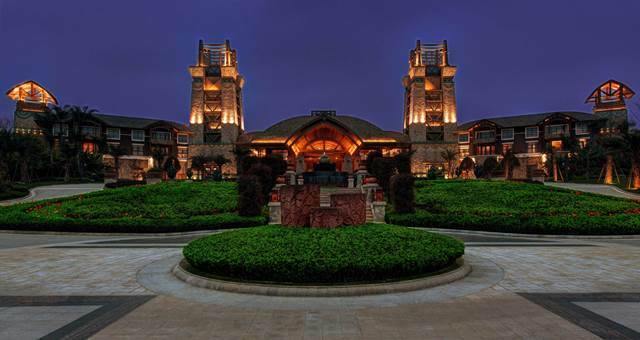 Anantara Emei Resort and Spa in southwest China is the first luxury international hotel to open in this region. The new hotel is located a 1.5 hour drive from the Chengdu Plain where giant pandas live in their natural habitat. With 90 guest rooms, 40 pavillions and 20 villas, on-site dining options include an all day restaurant, Cultivar, which serves daily breakfast buffets, à la carte lunches and dinner menus with Chinese and European cuisine. Regional recipes from Sichuan and Guangdong are showcased at Jinyi. The lobby lounge, Xueji, is a good meeting place and opens onto a terrace with a scenic view. Yunshang Wine Cellar serves a selection of wines snacks, spirits and cigars, as well as special degustation menus. Anantara’s signature Dining-by-Design is also available. 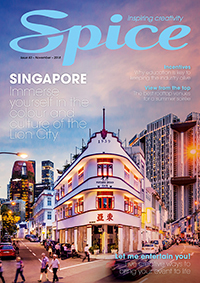 Cooking enthusiasts can attend a ‘Spice Spoons’ foodie experience that includes a tour of the local food markets and a cooking class with a Sichuan cuisine Sous Chef. Outside of the resort, guests can check out Haochi Street in downtown Emei where tofu is made the traditional way in ancient stone pots. Anantara Spa offers a tranquil sanctuary with signature spa journeys including the ‘Emei Retreat’. This comprises of a Hydrating Pu-Erh Tea Body Scrub, a Ling Zhi Bath ritual laced with ginger, a Purifying Pu-Erh Tea Body Wrap infused with white clay and vitamin E to purify and soften skin, and an Exotic Bamboo Massage. Mount Emei is a mecca for pilgrims, as well as nature and culture buffs. Translating as ‘lofty’, the mountain is the highest of China’s Four Sacred Buddhist Mountains and a UNESCO World Heritage Site. Visitors can also see the world’s highest golden Buddha statue, whose 48 metre height represents the 48 wishes of Amitable Buddha. Visitors to the area can also bathe in nearby hot springs, and those planning an autumn trip will experience the leaves changing colour.